I love watching small, independent artists grow in the industry. Seeing Anthony DiGiacomo – the mastermind behind Encircle – evolve from posting demos on websites (does anybody remember sevenstring.org?) and covers on YouTube to releasing a full album many years later that quickly made it to #3 on Bandcamp’s metal charts  makes me feel nothing less than proud of him and his success in the independent metal artists community. Lost Chronicles, the sophomore album of Florida-based guitarist, songwriter and producer Anthony DiGiacomo, showcases his evolution in all three of those aspects, this time with the addition of guest vocalists on four of the eight tracks on this release. ‘Reply-Code: Omega’ was the first track to be released as a single, which made me particularly excited for the full-length as it was the first Encircle track to ever have vocals on it, courtesy of Jak Noble (Returning We Hear The Larks, Fractals). As well as that novelty, the song featured hugely improved production in comparison to his first release Into the Dreamstate and, without meaning to sound shallow, this was a big deal for me personally. The production was the only reason why I couldn’t get that much into the aforementioned release, even though it showcased excellent compositional and instrumental skills. As such, I find it impressive that he managed to get such a great result from less-than-optimal recording conditions, as many other “bedroom artists” struggle with their sound because of this. I have to admit I have never heard an acoustic guitar sound that good – as heard on the first track – when recorded with just the recording interface’s internal microphone. Because of technical and financial restraints, the drums have been programmed – unsurprising for artists such as him – but hearing how great they sound, I look forward to the day when Encircle can hire a session drummer for an album (Kickstarter to get Peter Wildoer (Darkane, ex-Arch Enemy) on the sticks, anyone?) or even take this project on the road like Cloudkicker did with Intronaut. That being said, Anthony has not been completely alone in this creation. The credits list is rather heavily populated with other names in the community, most interestingly in the vocalists section. Alongside Jak, Lost Chronicles also features Tre Watson (Carthage), Nathan Storm (Lye) and Hayato Imanishi, mostly known as the vocalist of Cyclamen but who also designed the album cover art for this release. Additional orchestration comes from Joel Lindfors of Oceill, with track 8 being a full-on collaboration with Chris Saniga, guitarist of Wide Eyes. If none of these names look familiar to you, you should at least note that most of these artists are known to collaborate on each other’s works. This makes for a tightly knit music community from across both sides of the United States, which I find to be inspiring in this digital age of music. The album is quite varied stylistically, especially with half the songs being instrumental (the other half also come in instrumental form as extra tracks if purchased through the Bandcamp page). The songs range from standard death metal riffs to some more experimental, progressive structures, as well as featuring some intriguing combinations of instruments such as the piano and the Koto-like synth heard on ‘Reply-Code: Omega’. Hayato’s vocals on the following track also add an initially strange but eventually fitting element to the song (most likely an intentional, stylistic choice rather than heavy vocal manipulation) with the use of Auto-Tune. Personally I hoped to hear vocals on all of the tracks, but for tracks such as ‘The Shard’, my favourite of the record, the instrumental aspect might be more fitting as it exposes the prowess behind the guitar work. The low note in the chorus gave me shivers on my first listen, and Sithu Aye’s guest solo with its clear sound fits perfectly with the song’s heavy progression. 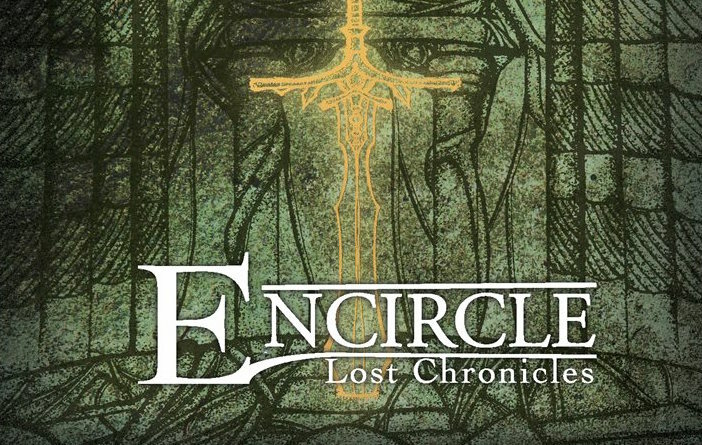 Lost Chronicles – or at least its track titles – should resonate with fans of video games and manga. Each song is in itself a reference to either of these worlds and, as a Dark Souls fan, seeing Artorias the Abysswalker and Alva the Wayfarer get a mention made me giggle like a little schoolgirl. There are also references to Mirror’s Edge, Resident Evil and World of Warcraft which, quite frankly, I didn’t get until I asked Anthony. As a whole, the album flows naturally from one track to another. There are no filler tracks or long synth outros that overstay their welcome, which makes for continuous uninterrupted grooving, and with a “name your price” tag, there is no reason for you not to give this release at least a few minutes of your attention. For someone who enjoys video games as a hobby, some songs definitely feel like they’re meant to be played during tough boss fights, and I have no problem with listening to the songs over and over – because I’d be dying a lot. 1. Proof of this was posted on Encircle’s Facebook page. 2. 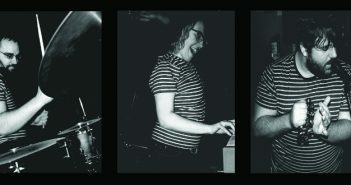 Peter Wildoer is the name Anthony DiGiacomo picked, when asked whom he would pick as a drummer. Trying my hand at writing. Consider this a disclaimer.